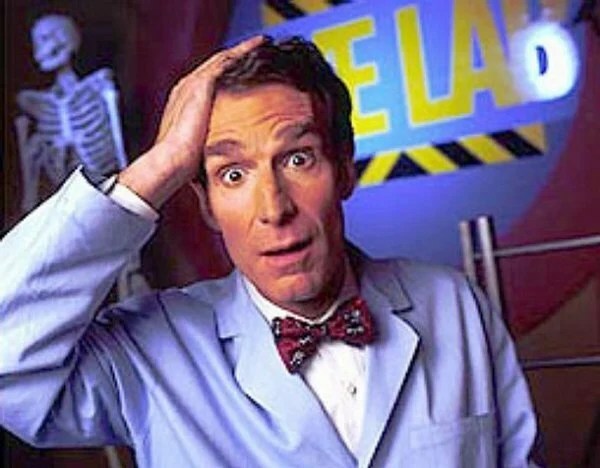 Why Do They Keep Wheeling Out Bill Nye? Following his disastrous debate with Marc Morano on the Piers Morgan Show a couple of months ago, Bill Nye was wheeled out by MSNBC to explain the recent blizzards in New England. To educate viewers on the science of the recent mega-blizzard that socked New England, MSNBC’s Craig Melvin brought onto his program noted “science guy” Bill Nye . What followed was the one of the most flawed discussions of meteorology I’ve ever seen on a national network. In likening the blizzard and hurricane Sandy, Nye implies both storms originated off the coast from Africa, which is wrong. Sandy formed in the Caribbean (not from an African wave) and the blizzard formed off the Mid-Atlantic coast (from the merger of two North American disturbances). Nye then draws an absurd comparison between East Coast storms and West Coast storms in an attempt to equate them. Big problem: storms typically hit Seattle from the west not from the south. They don’t form off the Pacific coast of Los Angeles or San Francisco and charge northward. In my entire life, (until watching Nye’s comments) I had never heard the term “Sou’wester” used in reference to a West Coast storm (a google search reveals there is an apartment complex and a lodge with such a name in the region – but I couldn’t find a meteorological reference). Nye then makes a convoluted comment about spin in different parts of the storm that serves as a nonsensical transition into a discussion of climate change. The climate change discussion is somewhat more coherent than his early comments but overly simplistic. Why MSNBC turned to Nye for weather wisdom is headscratching, considering it has access to a stable of competent meteorologists at the Weather Channel. Nye has created some wonderful science educational programs for children, but a weather expert he is not. As Samenow questions, why do the likes of MSNBC bother bringing Nye out to discuss these issues such as these. Could it be that none of the real experts are prepared to blame every bit of bad weather on global warming? Because he’s the best they’ve got !! like the time he faked a greenhouse effect experiment on TV and fooled millions of kids? The “bad” weather, as well as the “good” are both related to the “natural fluctuations” such as the ENSO (El Nino and La Nina) and the NAO, both of which are beyond human control, and unaffected by our ADDED GHGs. Perhaps that’s why the “real experts” take a pass? Not to take anything away from your critique of Mr N.
Sou’wester hats were available in South Australia in the 1950’s but cold wet storms come from the SW here. Haven’t heard the expression for many years. Nye is obsolete and doesn’t know where on earth he is? To paraphrase from the idiom: In a room full of morons everyone is a genius, we get in the situation: Morons will only listen to other morons; and their is no better moron than Bill Nye.